You are here: Home / General Information / Animals Today May 13, 2017: What makes a great animal sanctuary? Micro chipping and estate planning. Dog bite liability. Disaster planning after Katrina. Animals Today May 13, 2017: What makes a great animal sanctuary? Micro chipping and estate planning. Dog bite liability. 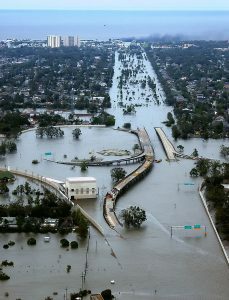 Disaster planning after Katrina. Peter begins by welcoming Bobbi Brink, from Lions, Tigers and Bears, a sanctuary for wild animals in Southern California. Brink says there is no excuse for the recent killing of three lions, three tigers and five bears by the owners of a Colorado sanctuary, and goes on to explain what’s involved in operating a top facility. Then, Lori speaks about the importance of micro chipping companion animals including important details on their use. Peter and Lori then discuss estate planning for pets. You need a plan for the care of your animals in case they outlive you. Lori then welcomes attorney Kenneth Phillips, who specializes in all aspects of animal law. Phillips explains when dog owners may be legally liable if their dog bites and injures someone. Important information here so listen carefully! Lori wraps up the show reflecting on the Katrina disaster and how devastating it was to companion animals. In the aftermath, laws were updated to permit animals to be evacuated with their guardians. Do you have a disaster plan for your entire family?